Iced tea is re-imagined thanks to inspiration from a classic summer cocktail. 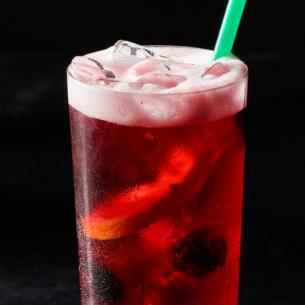 Freshly brewed Teavana® Iced Passion Tango™ Tea and apple juice are hand shaken with a medley of juicy berry flavors then accented with real blackberries and orange slices. The delicious result? A finish that's both sweet and tart.